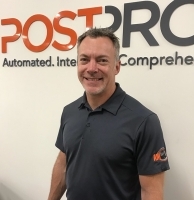 Nathan Harris, Head of Americas, PostProcess Technologies Inc.
Nathan Harris joined PostProcess Technologies as Head of Sales after spending several years on the "build" side of additive manufacturing. As Vice President at BeAM, he drove sales for their DED (Directed Energy Deposition) technology. Prior to BeAM, Nathan was a Director at 3DVision, a leading value-added reseller of SolidWorks software and Stratasys 3D printers. At PostProcess, his mission is to help transform customer's 3D printing outcomes through advanced post-processing technologies for polymers and metals.